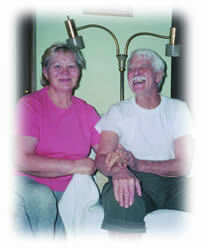 In-House Caregiving is a important and beneficial program for your personal privacy, security, and comfortable life. We provide skilled caregivers for elderly or disabled persons wishing to stay in their own homes. You will have the same caregiver all the time. This affordable assistance, according to your needs and health situation, can provide improved quality and enjoyment of life. Our service is the alternative to nursing home facilities and helps in recovery, relieving anxieties, and stress while offering companionship in a familiar environment. This provides the family with free time and peave of mind when they are away. Learn More about how the Forest City Caregiver's Agency can help. Copyright 2005, Forest City Caregivers Agency, Inc. - All Rights Reserved - Images used with permission.